For about 12 years now, I’ve been part of a Redwork group. 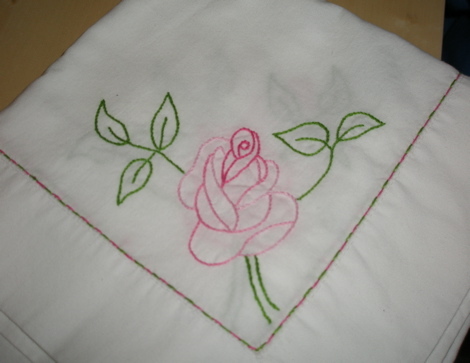 From time to time, we branch out from Redwork to other needlework styles. Recently, we decided to start having themes for out meetings. 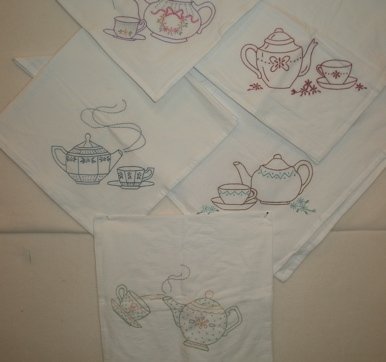 A recent theme was Tea Linens. 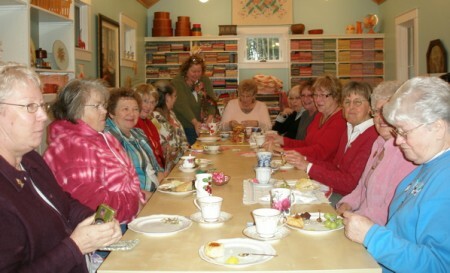 Everyone brought a pretty tea cup, Linda made scones and I made tea sandwiches. Show and tell is always the best part. 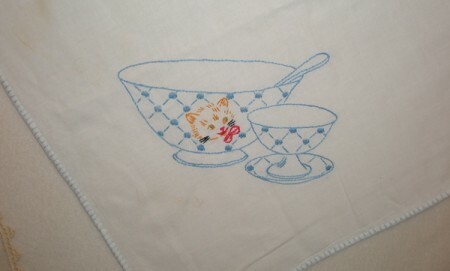 Here’s a vintage card table cloth that I picked up years ago for just a few dollars. 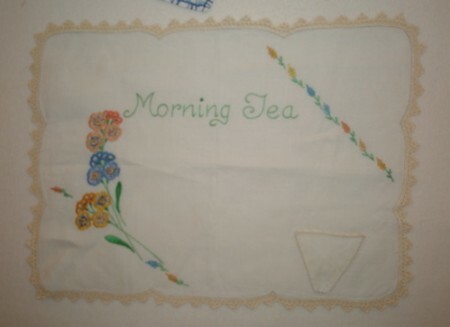 And, of course, when you’re being served tea in bed on a tray, you must have a proper tray cover! 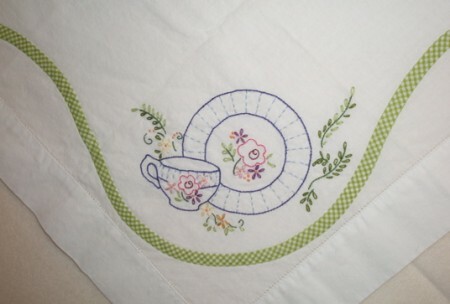 Notice the little pocket for your napkin. 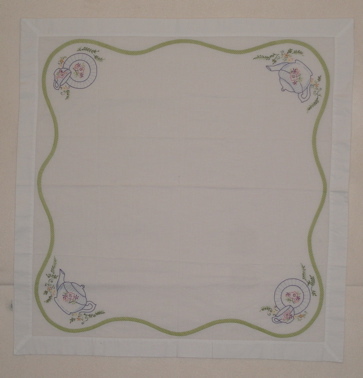 This is a pretty design with an interesting stitched edge. Ethel made this pillow as a store sample for Anna Lena’s a few years back. 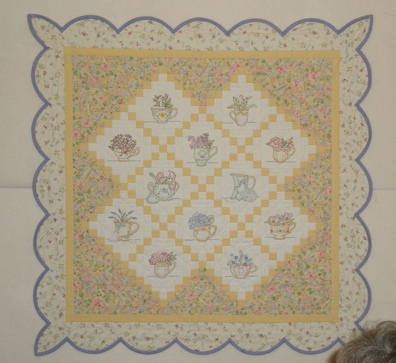 It’s a pattern from Darlene Zimmerman. One of the ladies brought these pretty dishtowels. 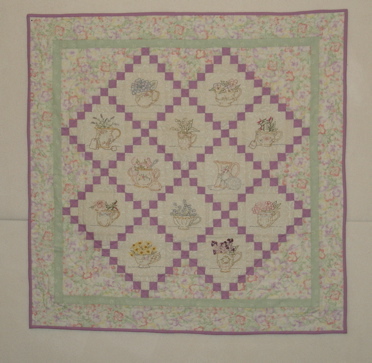 And look at this pretty quilt. I think Loretta made it. I love the delicate rose on the corner of this tea tablecloth. 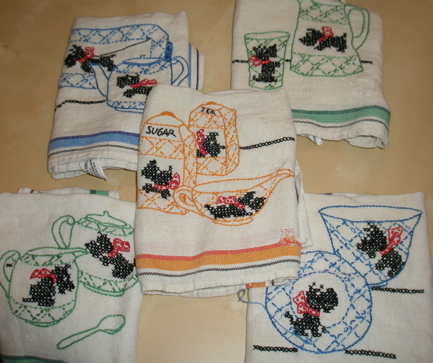 These stitched tea towels are oldies but goodies. Don’t you love how the thread color matches the bands on the towels? 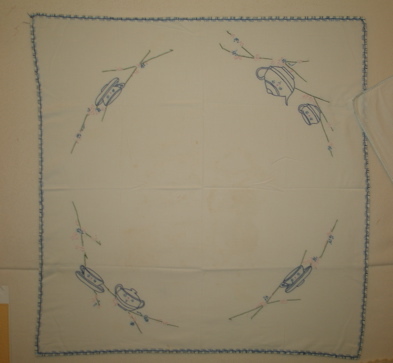 The bias tape scalloped border on this cloth is really interesting. The bias tape is checked! How cool is that? 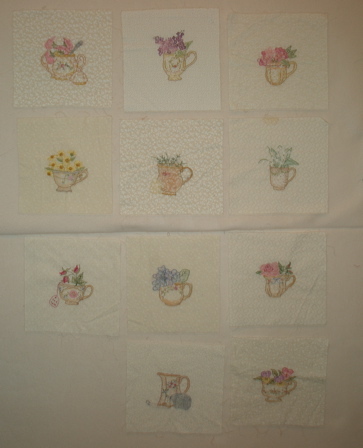 A few years back, our project was these blocks from Crabapple Hill Designs. These are Eleanor’s–still waiting to be put together. 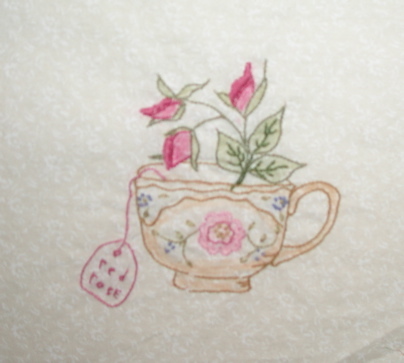 She’s a Red Rose tea drinker, so personalized her tea bag. How clever! 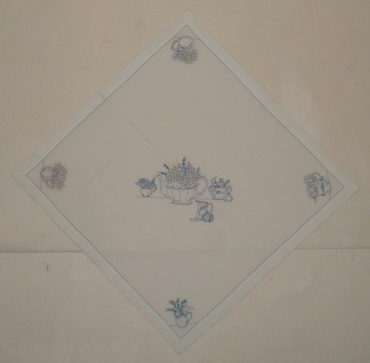 Monica designed this setting for her blocks. 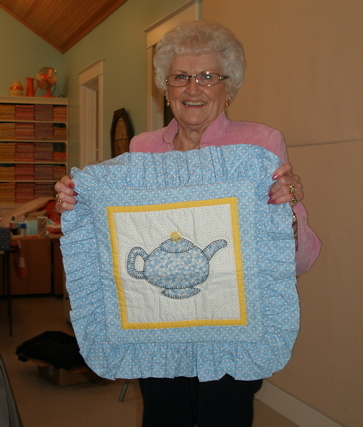 It is so very sweet–just like she is! This is so pretty, but I can’t remember whose this is. Oh, me bad! Somebody, help! 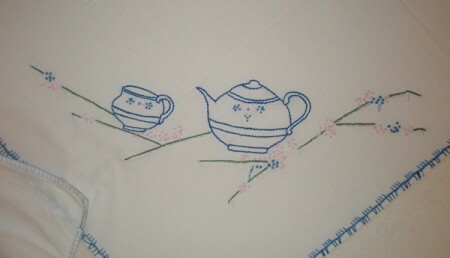 Ethel made a tablecloth with her designs. 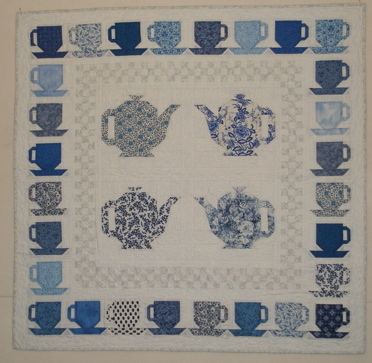 And I did a crazy quilt with my blocks.